Every memorable holiday has a soundtrack. Particular pieces of music evoke special places. When I think of the music of Deia, and indeed the Balearic Islands, I think of all kinds of music. But it shares a certain vibe. You’ll see this from our Deia playlist. Above is a shortened version for you to listen to while you read – read more about the list at the bottom of this article. As anyone who’s familiar with this blog knows, we return again and again to the music of Deia. Lady June, Kevin Ayers, Daevid Allen and Gilli Smyth – all artists you’d describe as underground but in their own way hugely influential – spent significant parts of their lives in the village. And these are only the artists who spring to mind first. I can also think of two truly strange but lovely albums made in and inspired by Deia that enjoy a cult afterlife their makers would certainly not have expected. Original copies of The Book of Am by the group of the same name and El Olivo by Ramon Farran with Robert Graves are highly sought after. It’s impossible to slot these albums neatly into a genre. The same is true of the music made by Lady June, Kevin, Daevid and Gilli – who experimented with everything from free jazz to electronica. But listen closely and I think you’ll agree they have something in common. Perhaps it’s the sounds of sunlight and maybe a scent of magic. 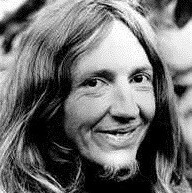 The song that encapsulates the music of Deia, for me, is Daevid Allen’s Deya Goddess. It has an ethereal, wobbly quality that reminds me of drifting off to sleep under a pine tree on a long hot afternoon and waking up not quite sure where and when you are. Deya Goddess shares this quality of space and warmth with much of the music that has come to be described as Balearic. In an attempt to get to grips with what Balearic might be, I spoke to tastemaker, DJ, broadcaster, producer, music curator, musician and journalist Chris Coco. Listening to Chris’s Melodica show on Mixcloud is one of the great musical pleasures of my life, especially if I’m not in Mallorca and feeling homesick. The music he makes himself is similarly evocative and gorgeous. I’m listening to his soon to be released album Indigo while I write this and it’s easing me into a delicious, drifting, summery state of mind. Part of the pleasure of speaking to someone like Chris who really knows music is being turned on to great stuff. I couldn’t resist asking him to recommend three tracks that could soundtrack a long lazy island day. 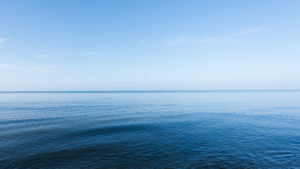 A morning track for when you’re waking up, making coffee and easing into the day: Indigo track by Chris Coco and Calm. As Chris says ‘It’s not too taxing and has a little bit of a groove’. Music for when you’re drifting into or coming out of a mid-afternoon siesta: the Peacemaker Dub album by Christoph el’ truento. This is Chris’s current favourite and, as I’ve just downloaded it on his recommendation, now one of mine. ‘I have it playing for hours actually,’ he says. ‘It gives me the feeling that the afternoon’s going to go on forever, like you get in the Balearics in the summer. 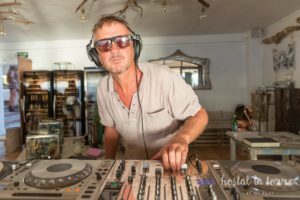 If you happen to be in Ibiza over the summer, Chris is resident DJ at the 7Pines resort and hotel. When it’s so hot and you’re feeling so lazy that you can’t even be bothered to choose your own music, Café Cody is just what you need. Created by Cody and Robin Johnson who lived for several years in Deia, Café Cody’s sensual Balearic sounds are ‘designed to move you, like waves, beyond the ordinary’. Listen, and listen, to Café Cody here. 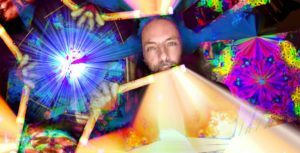 If you’re searching for music for meditation, gentle bodywork, deep relaxation or simply floating off into space – inner and outer – the pieces created by Daniel Alzamora-Dickin as Sonic Chrysalis offer powerful sound healing. Experience and download Daniel’s work here. Should you be searching for a communal music experience, try Wake Up Dance session in Deia. On Saturday mornings, DJ Llewellyn Graves plays an eclectic mix to send you into the weekend feeling energized and full of love for your fellow human. Check out Wake Up Dance here. If you have Spotify, enjoy a curated collection of music connected to Deia, chosen to help you drift into a mellow groove, wherever you are in the world. Listen to our Deia playlist by following this link.